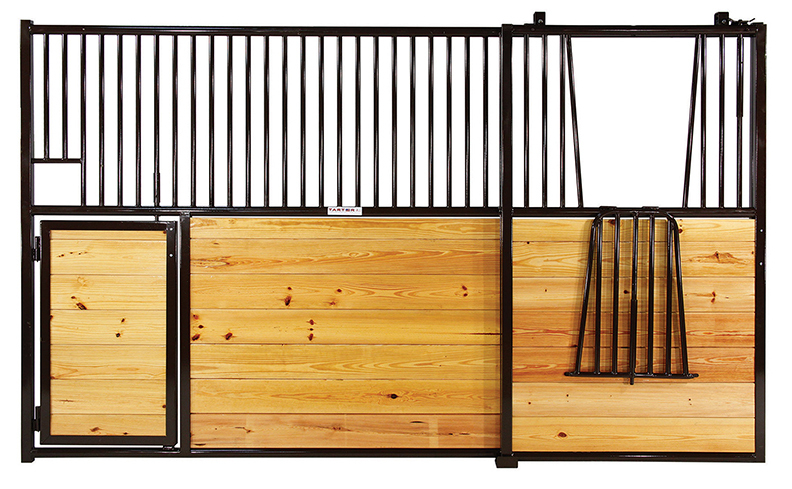 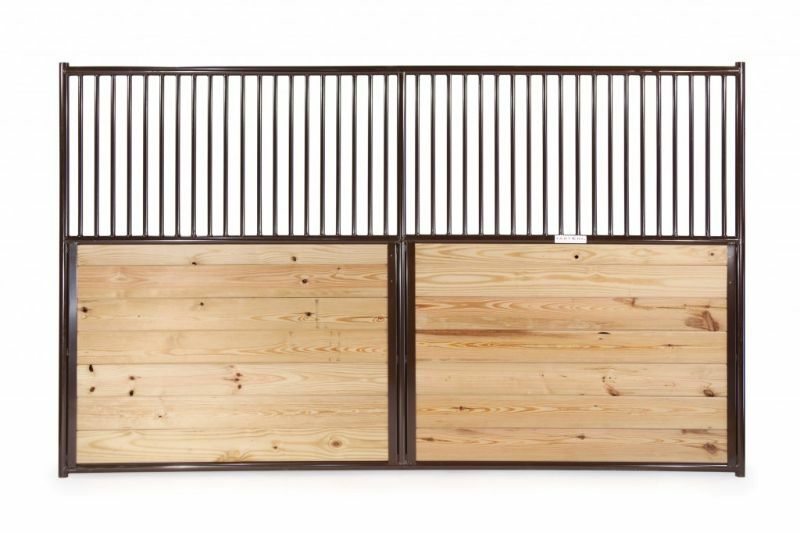 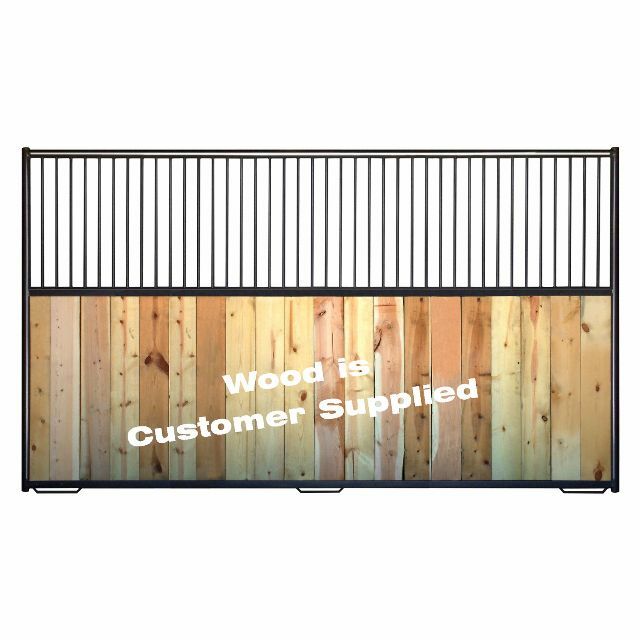 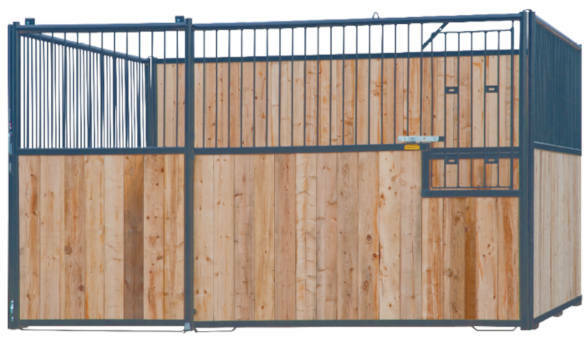 Horseman's Choice stalls have established a reputation for premium quality features and construction in an affordable, easy-to-set-up modular system. 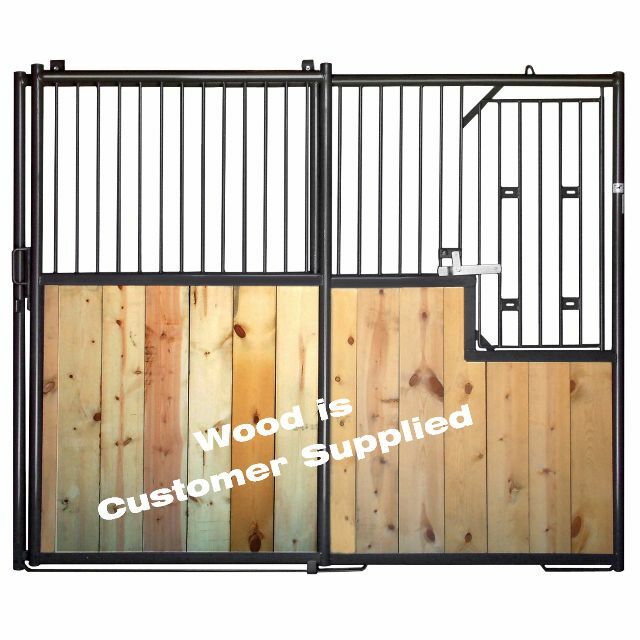 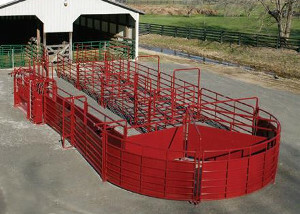 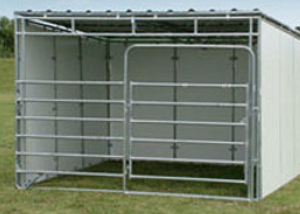 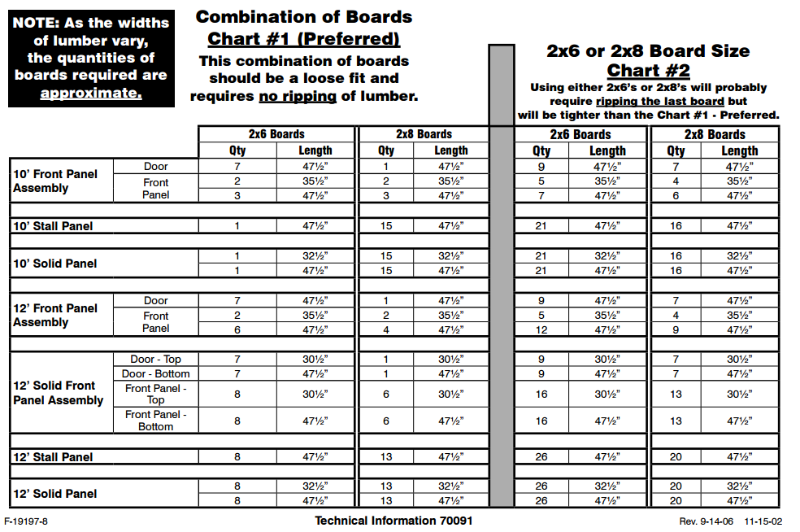 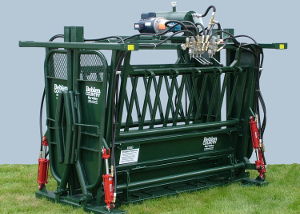 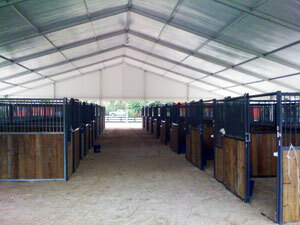 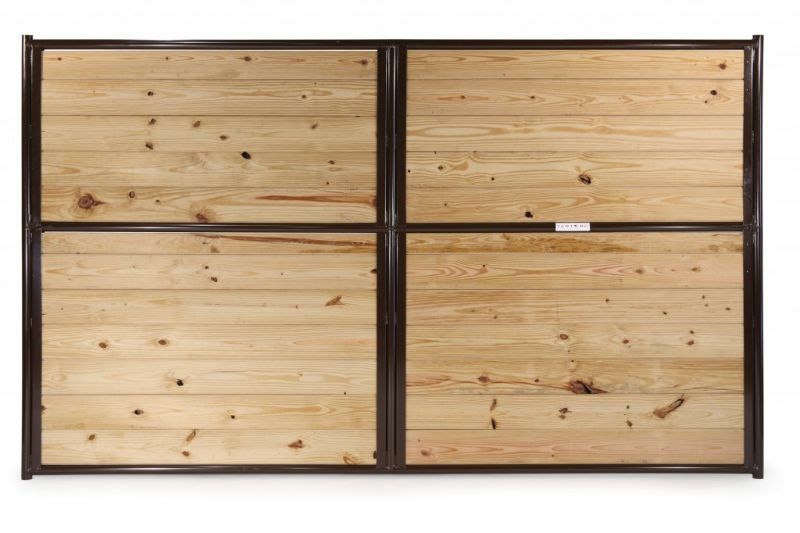 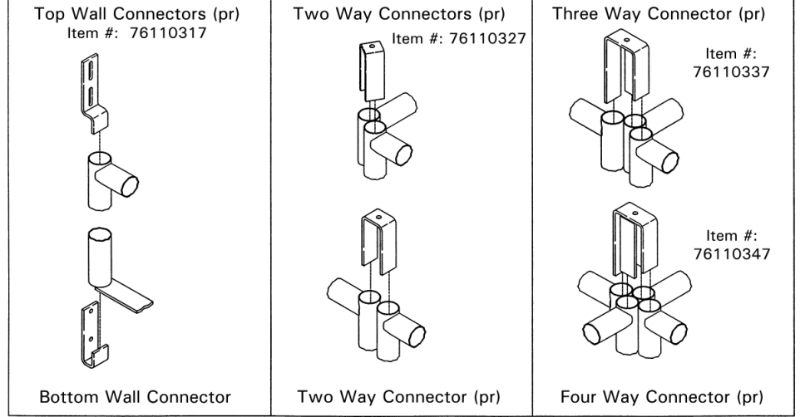 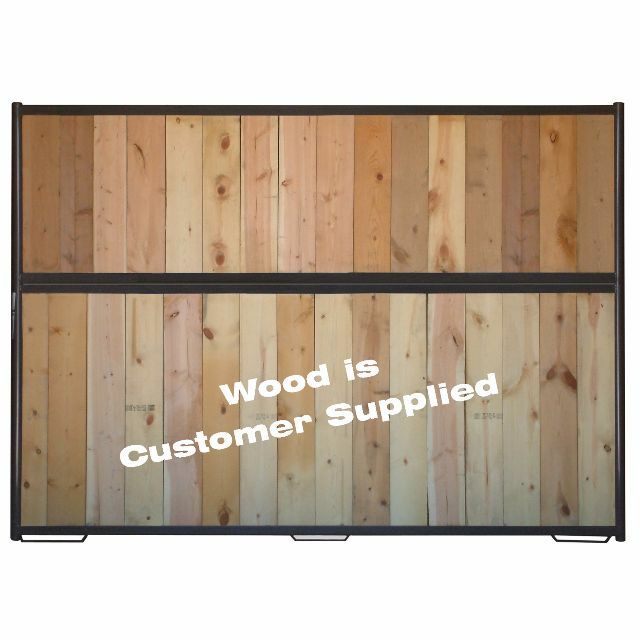 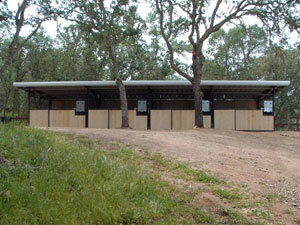 Modular horse stalls can be set up in various row configurations with the use of easy to use connectors (see below). 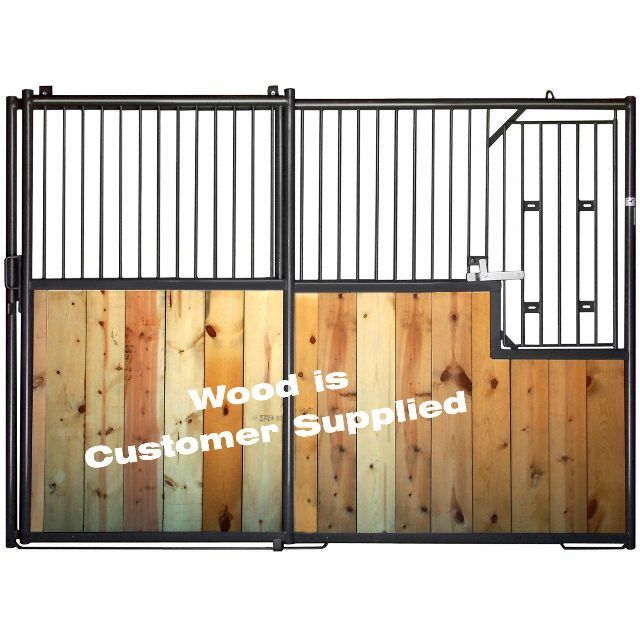 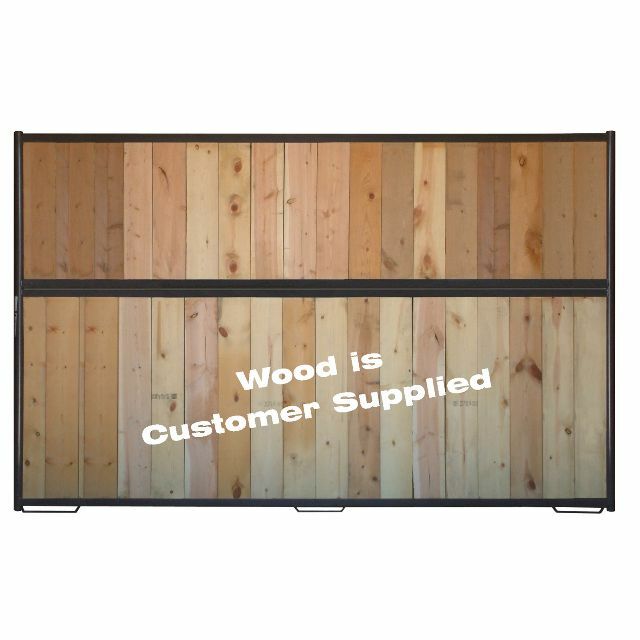 Lower 4' of stall can be filled with 2" (customer supplied) lumber. 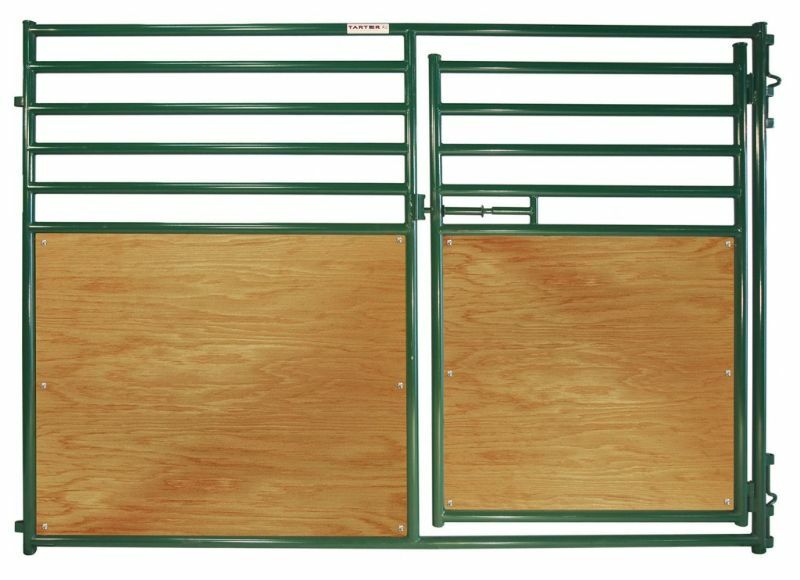 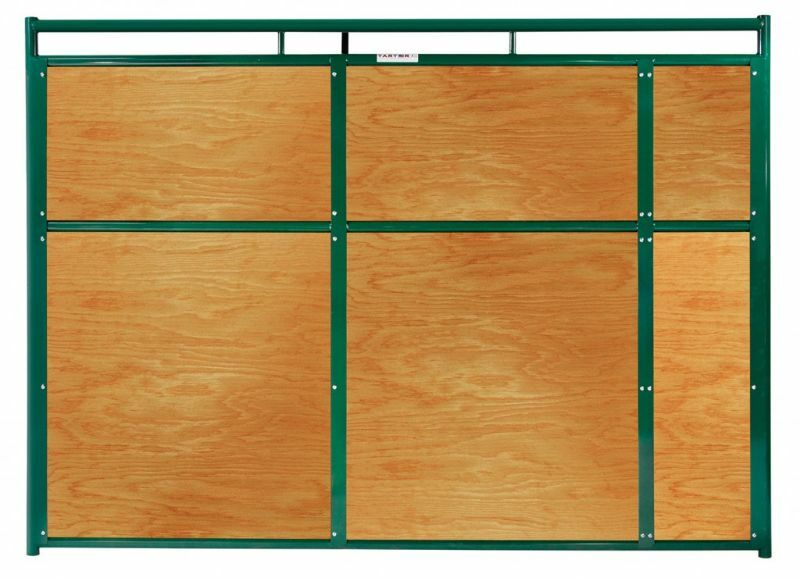 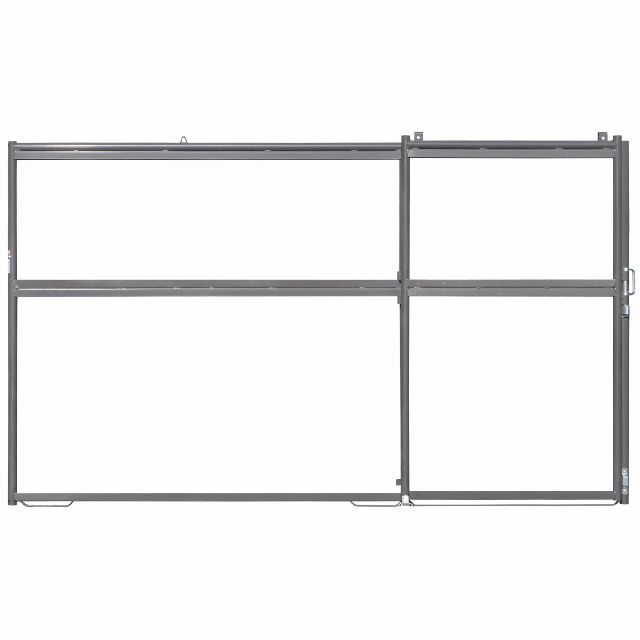 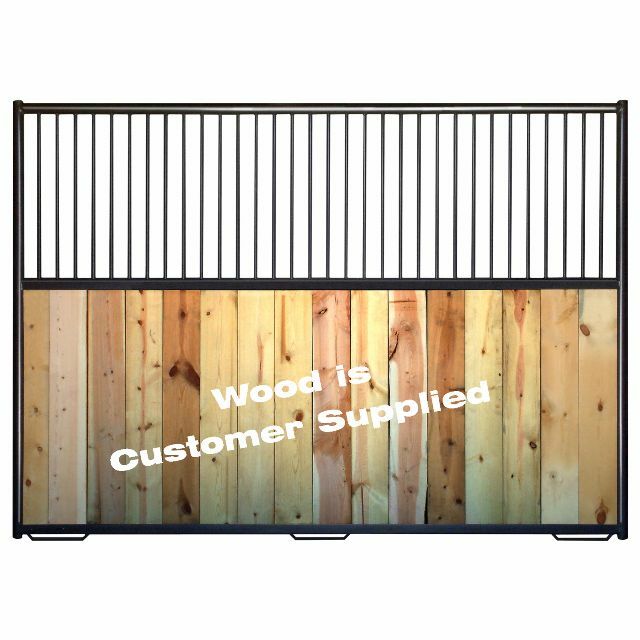 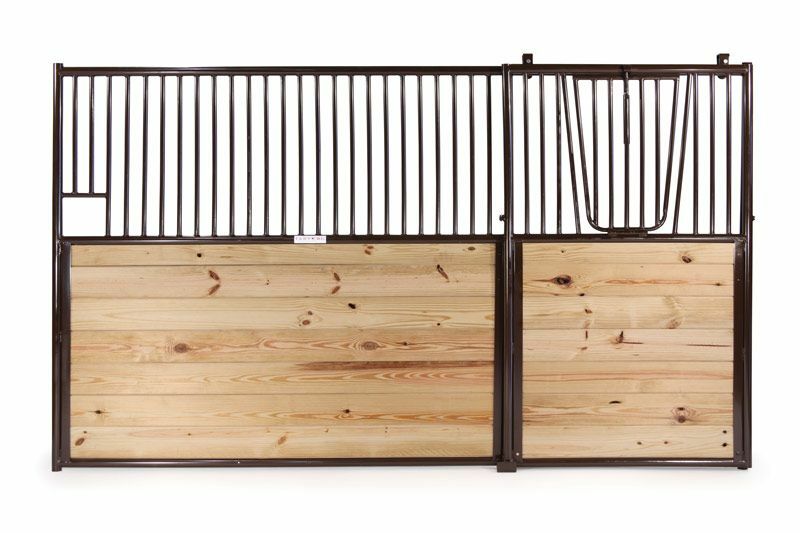 Heavy gauge 2" round tube framing is used for extra strength and stability.1/2" solid vertical rods spaced 3" apart allow for better ventilation and viewing of the horse than competitors vertical tube dividers. 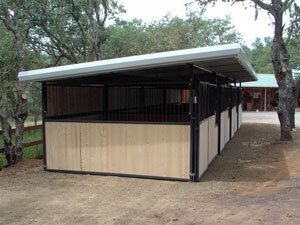 Each stall front comes with a 4' sliding door and 2' feeder door. 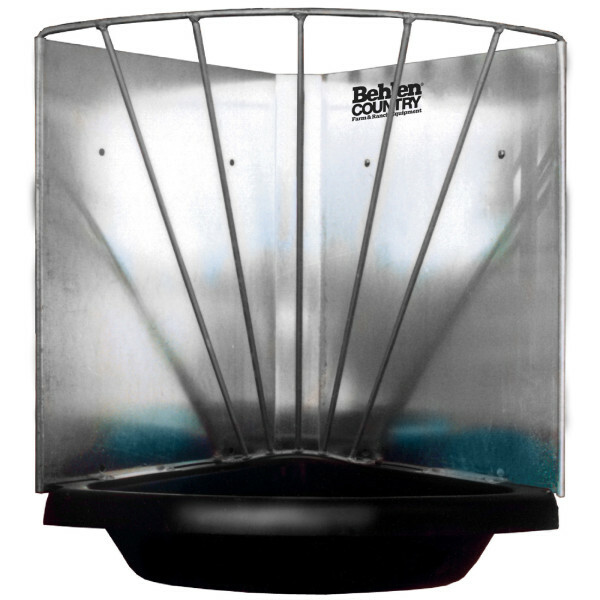 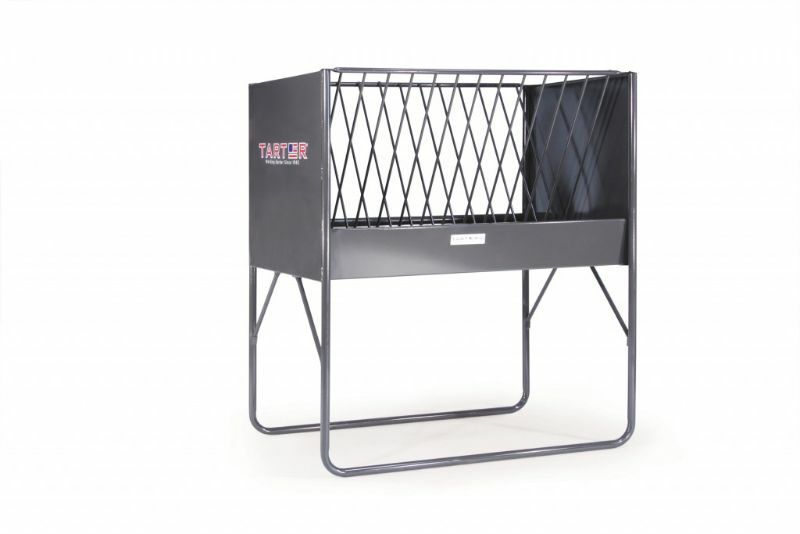 Feeder door swings out easily and is low enough to allow even a child to use. 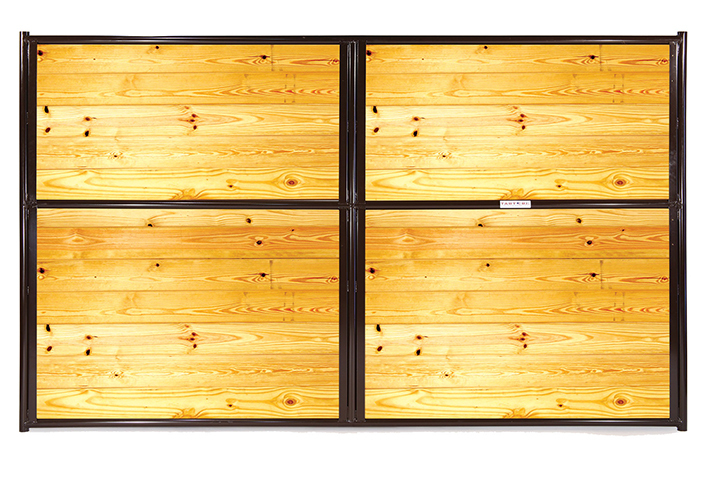 Sliding door has rollers on top which allow the door to glide easily with minimal effort. 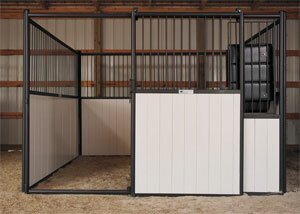 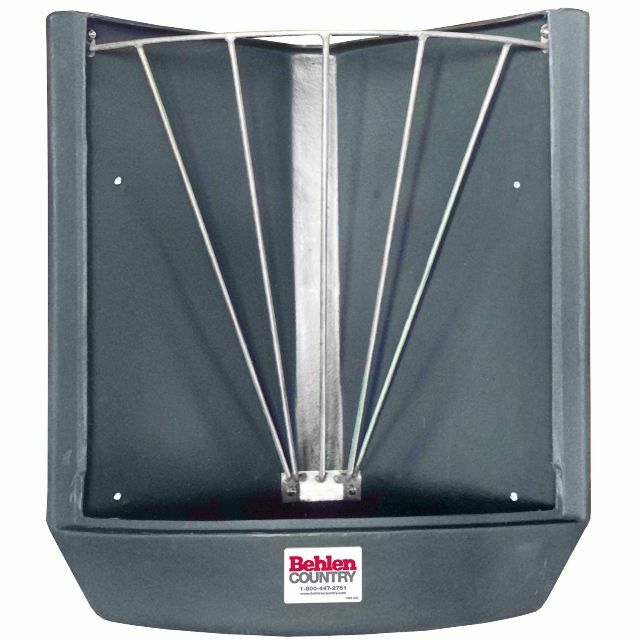 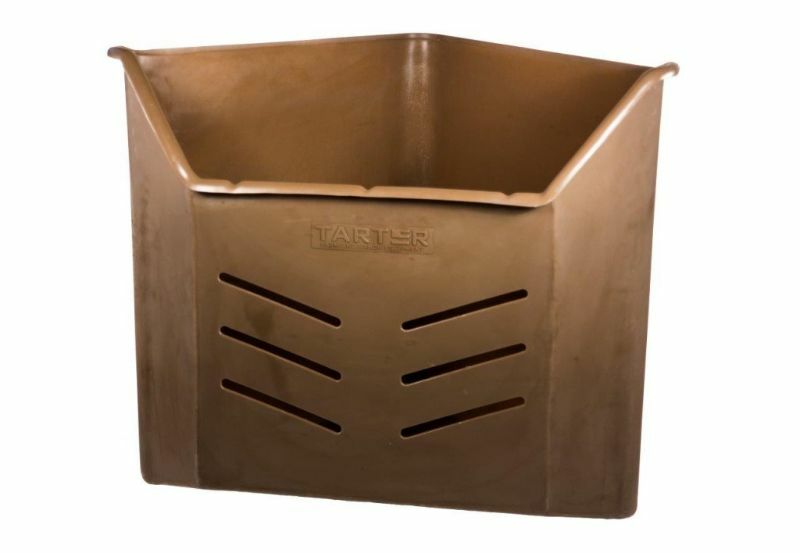 Optional Corner Feeders (PCF or HFC) can be attached to allow horse to be fed from outside the stall. 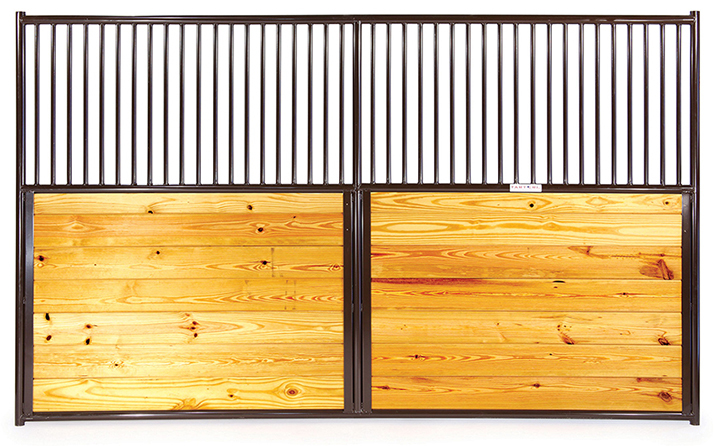 Panels are finished with our full bake premium powder coat polyester paint which is unmatched in the industry. 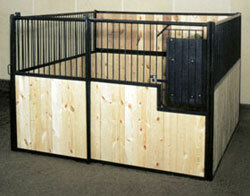 Available in gray only.